Storms are created when a center of low pressure develops, with a system of high pressure surrounding it. This combination of opposing forces can create winds and result in the formation of storm clouds, such as the cumulonimbus. 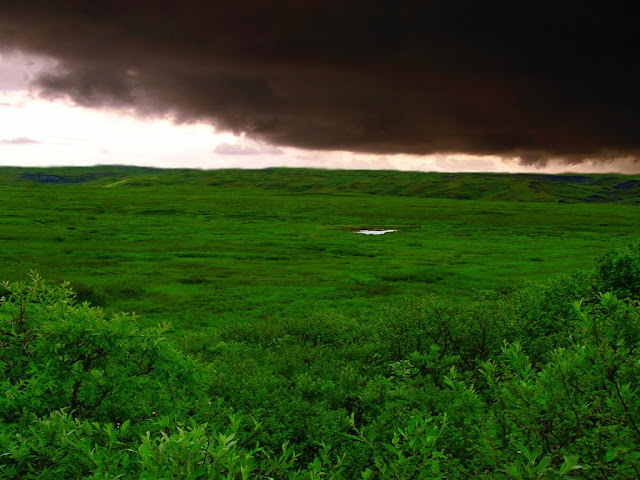 Small, localized areas of low pressure can form from hot air rising off hot ground, resulting in smaller disturbances such as dust devils and whirlwinds. There are many varieties and names for storms. Ice storm – Ice storms are one of the most dangerous forms of winter storms. When surface temperatures are below freezing, but a thick layer of above freezing air remains aloft above ground level, rain can fall into the freezing layer and freeze upon impact into a "glaze", which is known as freezing rain. In general, 8 millimetres (0.31 in) of accumulation is all that is required, especially in combination with breezy conditions, to start downing power lines as well as tree limbs. Ice storms also make unheated road surfaces too slick to drive upon. Ice storms can vary in time range from hours to days and can cripple both small towns and large urban centers alike. Snowstorm – A heavy fall of snow accumulating at a rate of more than 5 centimeters (2 in) per hour that lasts several hours. Snow storms, especially ones with a high liquid equivalent and breezy conditions, can down tree limbs, cut off power, and paralyze travel over a large region. Ocean Storm – Storm conditions out at sea are defined as having sustained winds of 48 knots (55 mph or 90 km/h) or greater. Usually just referred to as a storm, these systems can sink vessels of all types and sizes. Dust devil – a small, localized updraft of rising air. 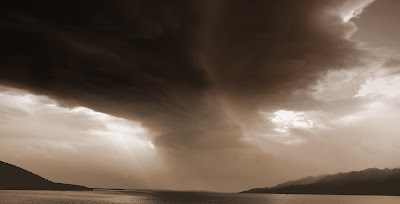 Wind storm – A storm marked by high wind with little or no precipitation. Windstorm damage often opens the door for massive amounts of water and debris to cause further damage to a structure. European windstorms and derechos are two type of windstorms. Squall – sudden onset of wind increase of at least 16 knots (30 km/h) or greater sustained for at least one minute. Gale – An extratropical storm with sustained winds between 34-48 knots (39-55 mph or 63–90 km/h). 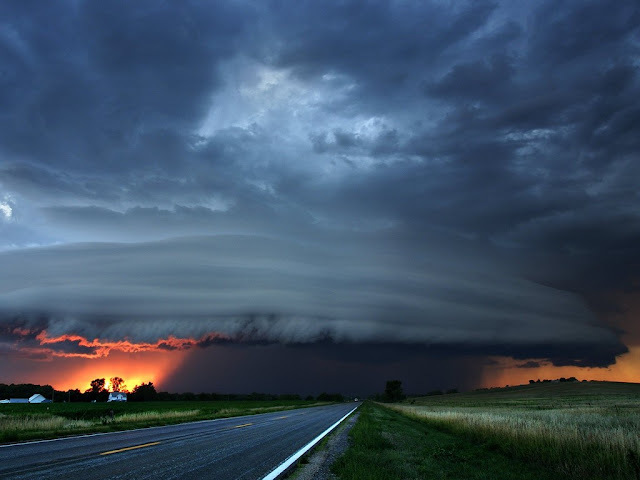 Thunderstorm – A thunderstorm is a type of storm that generates lightning and the attendant thunder. It is normally accompanied by heavy precipitation. 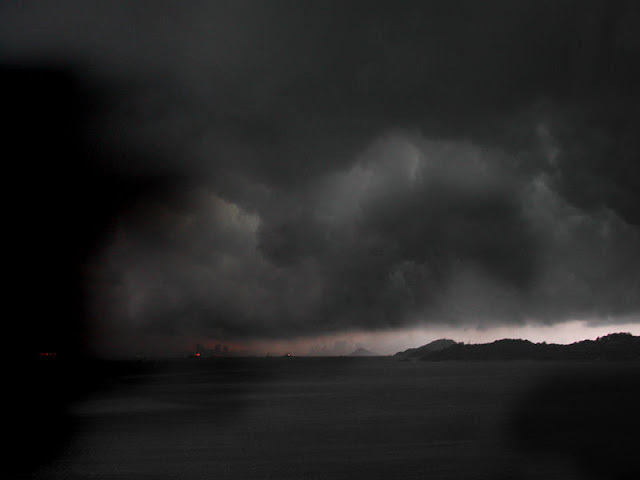 Thunderstorms occur throughout the world, with the highest frequency in tropical rainforest regions where there are conditions of high humidity and temperature along with atmospheric instability. 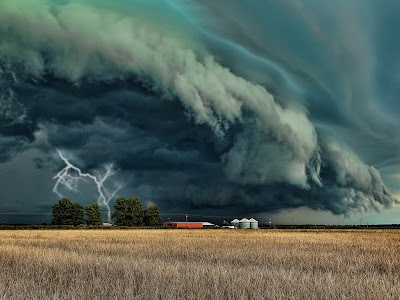 These storms occur when high levels of condensation form in a volume of unstable air that generates deep, rapid, upward motion in the atmosphere. The heat energy creates powerful rising air currents that swirl upwards to the tropopause. Cool descending air currents produce strong downdraughts below the storm. After the storm has spent its energy, the rising currents die away and downdraughts break up the cloud. 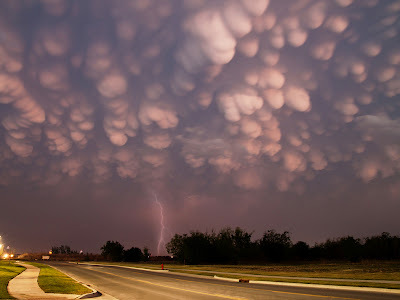 Individual storm clouds can measure 2–10 km across. Tropical cyclone – A tropical cyclone is a storm system with a closed circulation around a centre of low pressure, fueled by the heat released when moist air rises and condenses. The name underscores its origin in the tropics and their cyclonic nature. Tropical cyclones are distinguished from other cyclonic storms such as nor'easters and polar lows by the heat mechanism that fuels them, which makes them "warm core" storm systems. Tropical cyclones form in the oceans if the conditions in the area are favorable, and depending on their strength and location, there are various terms by which they are called, such as tropical depression, tropical storm, hurricane and typhoon. Hailstorm – a type of storm that precipitates chunks of ice. Hailstorms usually occur during regular thunder storms. 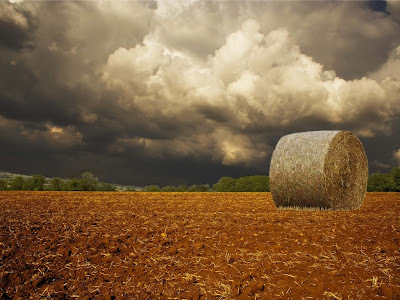 While most of the hail that precipitates from the clouds is fairly small and virtually harmless, there have been cases of hail greater than 2 inches diameter that caused much damage and injuries. 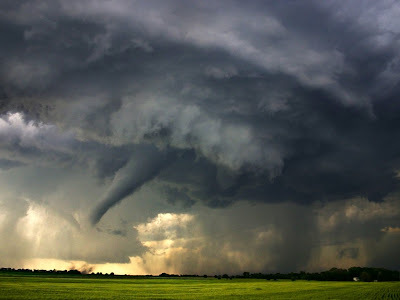 Tornado – A tornado is a violent, destructive wind storm occurring on land. 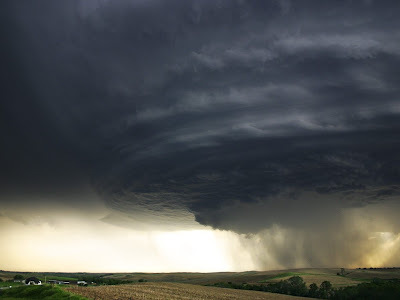 Usually its appearance is that of a dark, funnel-shaped cyclone. 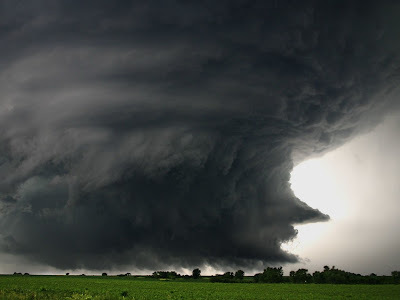 Often tornadoes are preceded by a thunderstorm and a wall cloud. 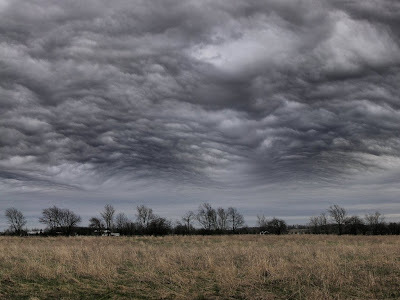 They are often called the most destructive of storms, and while they form all over the world, the interior of the United States is the most prone area, especially throughout Tornado Alley.